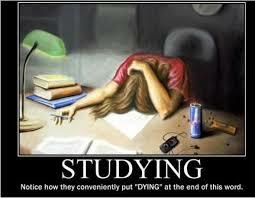 I have vowed to study weeks before finals begin, but I always end up doing the opposite. 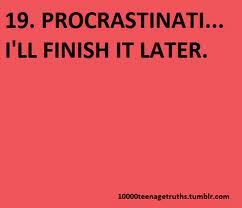 So I understand the plight of the procrastinator. However, taking advantage of those moments to get a head start helps you remember the information better and understand it more. 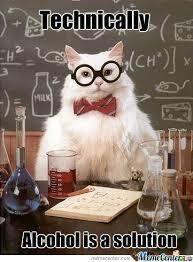 Also, it gives you the opportunity to ask your professor questions you might have in your review. 2. Indulge in ONE fun turnup. If you complete Tip 1, then you really deserve to turnup before the exam! 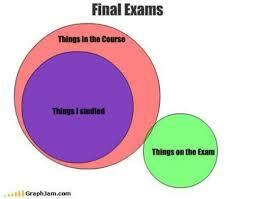 Partying for a few hours the weekend before finals gets you loosened up and stress free before you study. Of course, don’t party the night before your test, but turnup a good amount of time before. 3. Compose your own study packet. At this stage, you should know what will possibly be on the test. So why not condense that information on one sheet so you can carry it around with you? Whenever you have the time to study, take it out. Whether you’re in the line at Chipotle or in traffic, this will all pass by really quickly as you’re studying with your handy-dandy packet. 4. Eliminate the stress and get some rest! You won’t know the outcome of the test until after you take it, so what’s the point of stressing over an exam that hasn’t even started yet? Take a deep breath, exercise, or take a friend out for lunch. Relax and get some sleep. Of course, an eight-hour sleep sounds impossible so close to finals week, but making an effort to do so even if it’s just five hours, will work wonders. 5. Take the test with your best accessory. This could be your favorite piece of jewelry, a pair of sunglasses, a cardigan, or anything. The point is that you feel great and confident while taking the test. 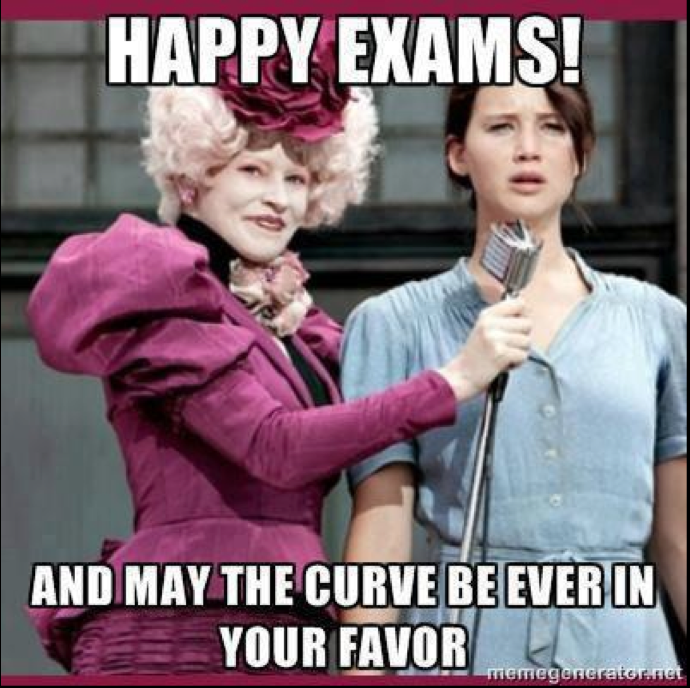 Good luck fellow classmates. You will be successful! It is often said that food brings people together, but Community Roots proved that cultural differences can prove to unite people as well. On Thursday, Nov. 13, UMD’s own Community Roots held their annual “Know Your Roots” event in the Colony Ballroom at Stamp. 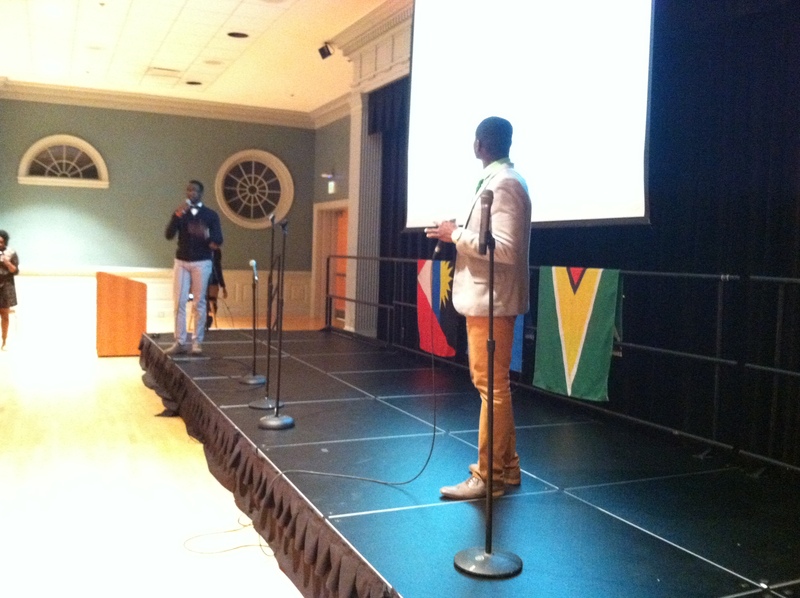 The night featured individuals from places such as the Caribbean, Africa, and Latin America. A flag representing these countries was set out on each table setting the tone for the night. A soldier was killed at the Canadian War Memorial in Ottawa Wednesday after a lone gunman opened fire and injured three others. Cpl. Nathan Cirillo, the victim, was guarding the memorial when the shooting began. He was shot in the back, according to Peter Henderson, a journalist who was at the scene when shooting took place. The gunman, Michael Zehaf Bibeau, continued shooting inside of Canada’s Parliament building minutes later. “I heard rapid fire — gunshots going very loud — and I figure maybe 20-plus shots within 10 seconds,” said Kevin Lamoureux, Canadian Deputy House Leader. He was one level below the gunshots. Lamoureux said he heard more gunshots minutes later, believing they were toward the gunman. Many officials believe Bibeau, who was eventually killed, was a terrorist. Bibeau converted to Islam and had a history of drug abuse, according to CNN. Bibeau’s passport was confiscated from Canadian officials when they learned he planned to fight overseas, a U.S. law enforcement official told CNN. Police investigations continue as they try to find out more about the gunman and his possible motives. Neighboring countries and allies are supporting Canada during this serious time. We call them our sidekick. We laugh over the craziest things when we’re in their presence. Not to mention, we share our deepest and darkest secrets with them. Pretty much we just live for our best friends. However, all best friends aren’t always loyal. On Oct. 5, I saw Derrell Lawrence’s stage play, Do You Trust Your Best Friend? And yes, the play is exactly what the title says with many surprising twists and turns along the way. When you watch the trailer, the viewer understands that this is all about a best friend that betrays her love-struck best friend by trying to seduce her boyfriend. But that’s only Act 1, Scene 2. Of course, I won’t give the juicy details away but I would encourage everyone to see it, whether alone, with your significant other, and even your best friend. It has many life lessons that can help in any relationship. The viewers are entertained, but yet taught how to act in terms of love and friendships and how to keep your mouth shut! Hmmm, I know I learned a thing or two, when I saw this play and I hope you will too. And you’re in luck, because the Do You Trust Your Best Friend? will be performing in the Murphy Fine Arts Center at Morgan State University on Friday, Oct. 24 and Saturday, Oct. 25. And don’t forget to comment back on this article and let me know, do you trust your best friend? Yes, Gladiators. 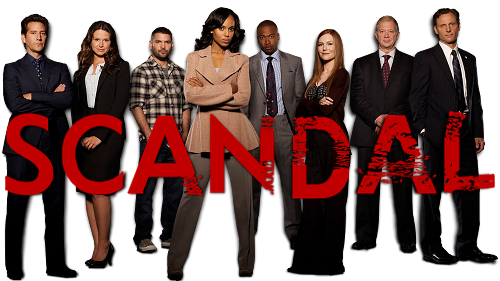 Scandal is back! After a shortened season 3 due to Kerry Washington’s pregnancy, Scandal will return this Thursday, September 25 at 9 p.m. Shonda Rhimes, the creator and producer of the show, has plenty of plots, twists and turns in store for faithful Scandal fans. But before Gladiators tune in, it never hurts to refresh our minds of the shocking events from last season’s finale. It was an eventful season 3 of revelations and surprises and the series finale revealed even more heavy cliffhangers. Is Beating Your Child Wrong? It seems as though the NFL’s biggest stars are getting “tackled” in the worst ways possible these days. From the Baltimore Ravens’ former running back Ray Rice to the Minnesota Vikings’ own Adrian Peterson, the issues in both of these cases have gained public attention.